INFINITE ARMS is one of my all-time favorite albums. The music, the lyrics, the sequencing of such a consistently interesting and awesome sounding collection of songs – but really it’s the overall feeling and sound of the album I think. There’s just something about that lonesome-canyon-big-starry-sky sound that resonates with me. I think it has a lot to do with the reverb. That sound is mostly missing from MIRAGE ROCK. For me, listening to MIRAGE ROCK for the first time was like seeing a favorite movie star without their makeup. It’s the moment of truth. Does the lack of artificial enhancements confirm or deny their star power? Despite its flaws, I believe MIRAGE ROCK is a confirmation. – not letting Tyler Ramsey just have the vocals on his song “Everything’s Gonna Be Undone” all to himself. Is that Bridwell in the background or somebody else? They need to pipe down a bit and let Tyler Ramsey have his moment to shine. I for one will want more reverb. And maybe some cow bell. 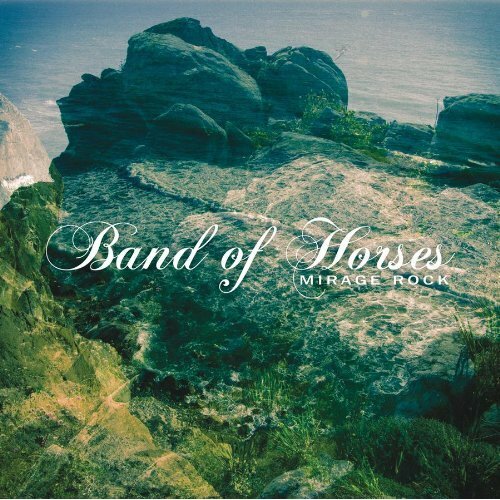 This entry was posted in Album Reviews, You Tube Song Samples and tagged Album Reviews, Band of Horses, Mirage Rock, Slow Cruel Hands of Time, You Tube Song Samples on September 19, 2012 by Constant Listener.